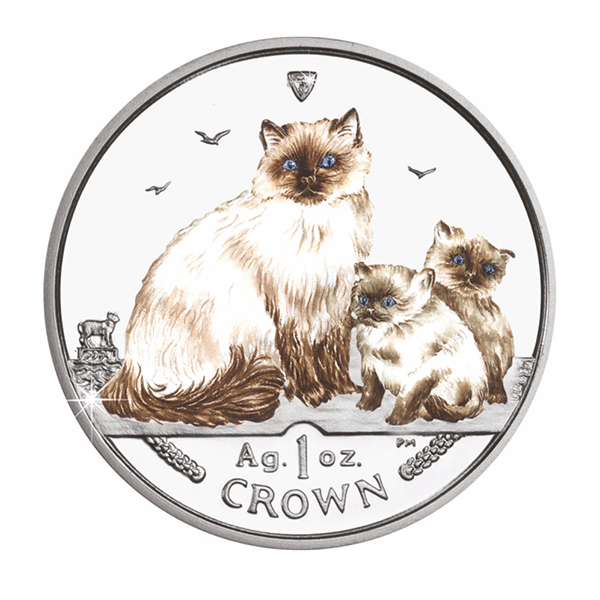 A brilliant 2005 Isle of Man Crown coin with a superb colourised image of a Himalayan Cat with two delightful kittens. Highly collectable. NB. Product on offer is not the Ag.1oz version of the colourised coin.